Car designer Pasi Pennanen has made a long career in emission-free car technology. His development work in innovative design is acknowledged with the Ornamo design award. An electric blue sports car glistens in the sun. Feisty-looking Toroidion 1MW Concept is no ordinary car. It is the first completely emission-free car in the world. By a super car, we refer to rare high-performance sports cars. Pasi Pennanen’s design innovation has been called the new Nokia – a product that is to permanently change the existing market and the whole consumer culture. On Wednesday 20 April, Pennanen received the Ornamo Award; an annual design award that the Ornamo association has given out for the last 35 years. Other finalists include Pirjo Kääriäinenand a pair of textile designers: Saana Sipilä and Olli Sallinen. Professor Simo Heikkilä picked out the winner among the three finalists. Pennanen aims to practice as smooth and balanced and esthetically sustainable design as possible. “Your eye should be able to rest on the product rather than make the product stand out from everything else. I don’t like to design things that grow old as we speak. I want to create objects that make you wonder whether they were designed yesterday or sometime in the future,” Pennanen explains. Animal anatomy is one of his sources of inspiration. “You could call it classic jaguar genetics. Building a bone structure for the cat. That is my natural way of doing,” Pennanen says. Pennanen grew up in Jyväskylä – a Finnish region known for motor sports. He learned to know race cars on the Harjurinne ridge road. They were a regular sight in Central Finland in the summer. Pennanen’s childhood and youth cannot be described as ordinary. In high school, he got interested in aerodynamics, mechanics, and composite materials. He drew and built models of every possible material and worked boat decks in the summer. After studying design in the Lahti University of Applied Sciences’ Institute of Design and Fine Arts, he specialized in car design at the Vehicle Design department of the The Royal College of Arts in Great Britain. He ended up working for Jaguar, after which he worked for Zagato in Italy and Honda in Japan. Pennanen has designed vehicles and a few boats for Sisu, too. Pennan is a cool and calm person if you ever saw one. 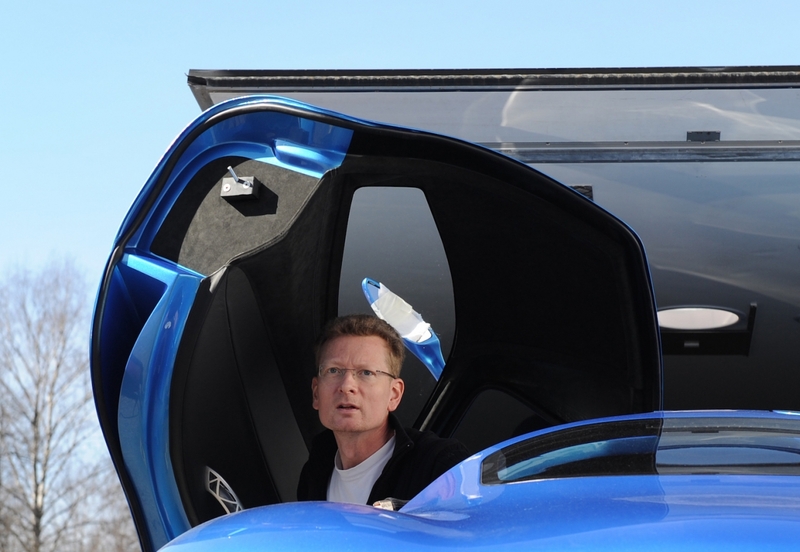 He did not lose his cool even during Toroidion’s first test ride but focused on checking that the controls and temperatures were all in order. Pennanen says that he is interested in everything that has to do with materials and finishing. He studies the frames of latest sunglass models and the seams of leather bags, briefcases and wallets. Pennanen’s design is tuned towards utmost functionality. Everything is technically grounded according to the form-follows-function principle. “Since the objective is to use Toroidion as a race car, in practice, the LMGT rules dictate where to place the wheels, and the Michelin measurements define the tire sizes for the front and back,” Pennanen says. Some of the first items to design in car bodywork are the headlights. Front tire’s location and rotation limit the space in front of the tire. 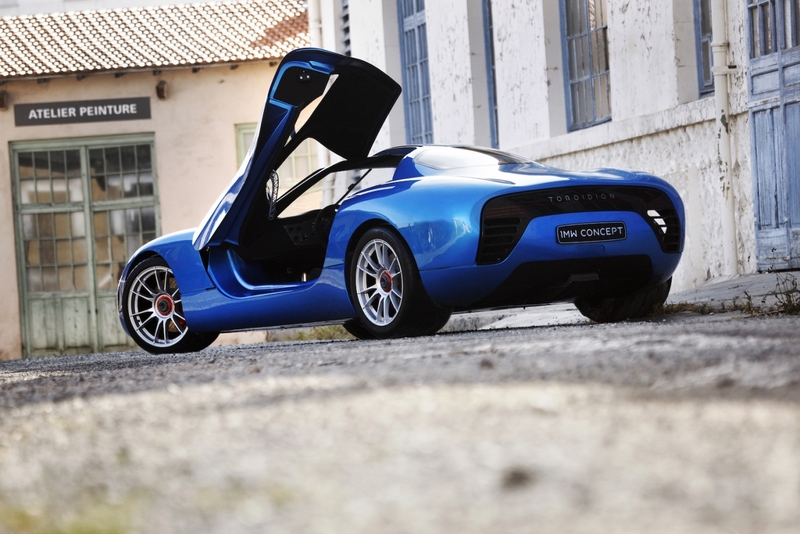 Toroidion includes an innovative electric power line. The motor’s torque is so strong that it can be connected directly to the wheel with the drive shaft. It lacks reduction gears, which is why a gearbox is not needed and the car is light and energy-efficient. An electric motor feeds directly from the battery. The car hosts a new type of electric motor – or four of them, to be precise; one for each wheel. The components are light. The car runs with 1,341 horse powers. It accelerates from zero to 200 km per hour in 4.9 seconds. 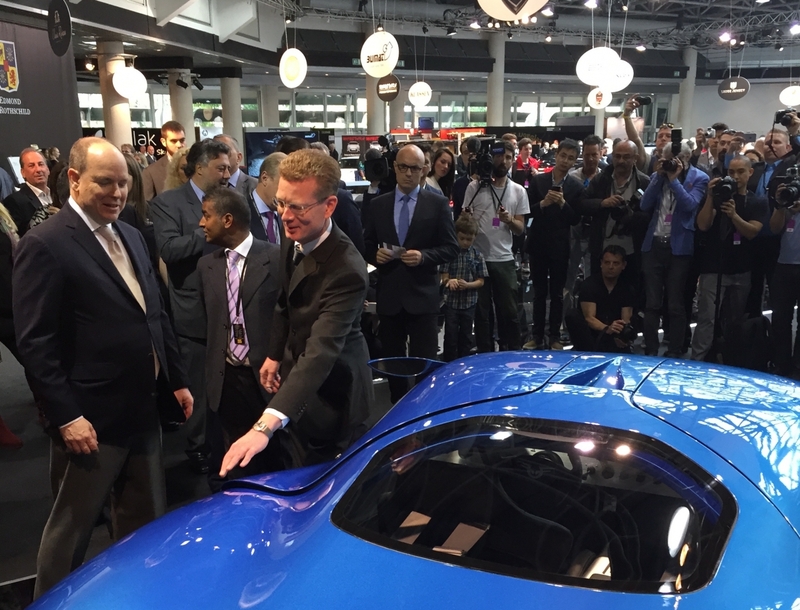 Toroidion 1MW Concept was launched in 2015 together with Albert II the Prince of Monaco. His wish is to halve the carbon dioxide emissions of Monaco by 2030. Toroidion’s technical prototype was made from start to finish in Finland. The next step of the electric car project is to accurately copy and rebuild the whole thing. Then the project will move on to productisation and exploring its limitations after mass manufacturing the components. The bet is that Toroidion will truly challenge Tesla, the current market leader of electric cars. However, there seems to be no competition between the two. Not yet, that is. Toroidion is something short of a miracle. Perhaps it is the solution to reduce traffic emissions. Perhaps the same technology can be applied to private cars or buses? is an art historian, journalist and design enthustiastic living in Helsinki. Her articles have been published in several magazines, including Helsinki University Bulletin, Ornamo Magazine and Mustekala Magazine.